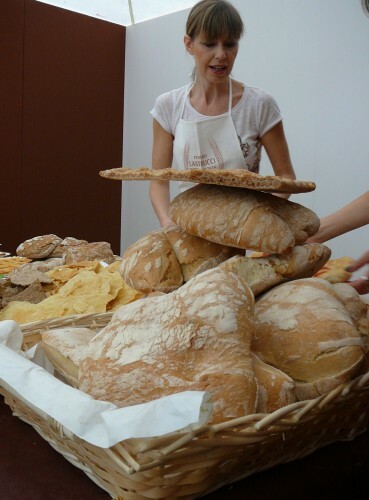 Tourist are frequently surprised when they first taste traditional Tuscan bread that is always made without salt. 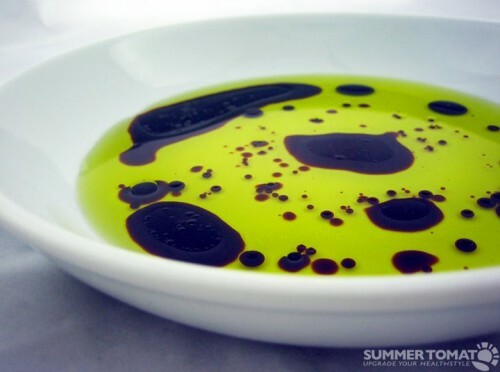 Tuscans, especially those from Florence and Prato, would not eat it any other way. Dante agreed. “Tu proverai si come sa di sale Lo pane altrui, e comè duro calle Lo scendere e il salir per l’altrui scale.” In these lines from the Paradiso of ”The Divine Comedy,” Dante learns of his exile from Florence and is given some idea of the difficulties he will face. ”You shall learn how salty is the taste of another’s bread, and how hard a path the descending and the climbing another’s stairs,” he is told. Some say the best Tuscan bread is made in Prato. 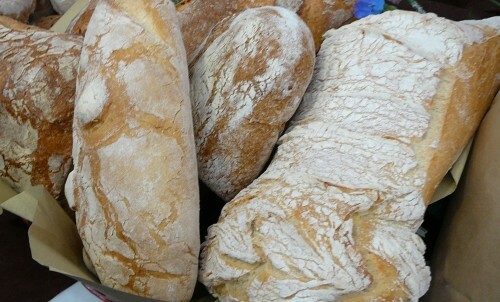 Pane di Prato is justifiably famous throughout the region. There are Florentines who virtually refuse to eat any other bread than Pane di Prato, even if their regard for the rival Pratesi is of a somewhat lesser degree. 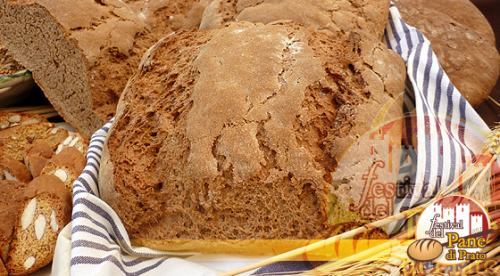 The bread of Prato was already being sold in the Florentine markets of the 16th century as a prestigious brand. 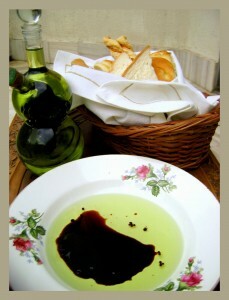 It is said that the Medici served only Pane di Prato at their villa at Poggio a Caiano. 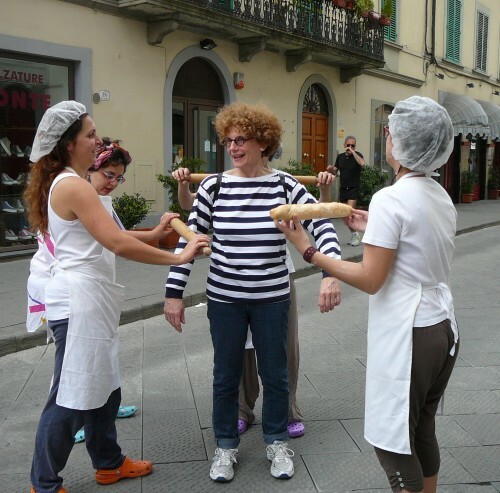 Last weekend was the first, and hopefully not the last, annual Festival del Pane di Prato. All of the bread bakeries were showing off their best breads, including the famous bozza, a small quickly rounded loaf with a rustic crunchy crust. 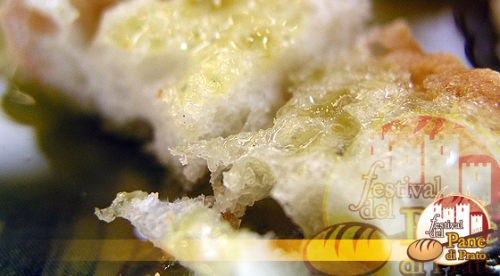 The soft middle part of the loaf is honeycombed in appearance and somewhat elastic. When you squeeze a bozza, it springs back into shape. The taste is salt-free, yeasty and slightly acidic. The Festival served up hot schiacciata for all attendees. 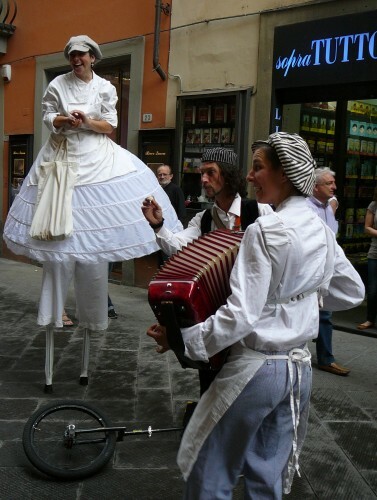 Street performers celebrated the bakery theme. Despite the unseasonable rain nobody could be depressed when there is the unlimited supply of yeasty bread. The bread is baked in the pre-dawn hours in a variety of forms that adapt themselves to every need: the cazzottino (‘a small fist”) is for breakfasts and snacks, perfect with a few slices of Pratese mortadella; the filone seems made to be sliced and slathered with flavorful marmalades, or drizzled in local olive oil and sprinkled with salt — the pan con l’olio used for snacks for kids and just about anyone else – or to make the traditional fettunta (toasted, rubbed with garlic and seasoned with olive oil, salt and pepper) reserved for the dinner table. But the best is the bozza, which goes well with everything and when it is stale and hard as a rock, it becomes the prime ingredient for panzanella, ribollita, pappa al pomodoro and other tasty dishes. 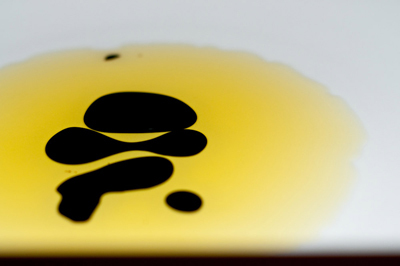 The Pisans get all the blame from some pundits for the salt-less bread made in Prato. Supposedly, they attempted to force Florence to surrender in one of their endless battles against each other by blockading the salt that arrived at the Pisan port, preventing it from reaching Florence via the Arno River. Prato, as Florence’s nearest neighbor, was caught in the fight. During the 16th century in Tuscany, the Tuscan Medici dukes controlled all of the resources, including salt, for Tuscan towns such as Prato. When they needed cash (for a war or for building a new villa) they raised the price on salt and other commodities. Thus, pane toscano (Tuscan bread) became bread famous throughout Italy for being sciocco, from the word in the Tuscan dialect for “insipid” (to Tuscans “sciocco” also means “stupid”, but that doesn’t fit this situation because they think salt-less bread is anything, but stupid). Those who are not Tuscan make fun of the bread of the region, but Tuscans, like Dante, mourn it when it is not available. Salt-less Tuscan bread is not intended for eating on its own. 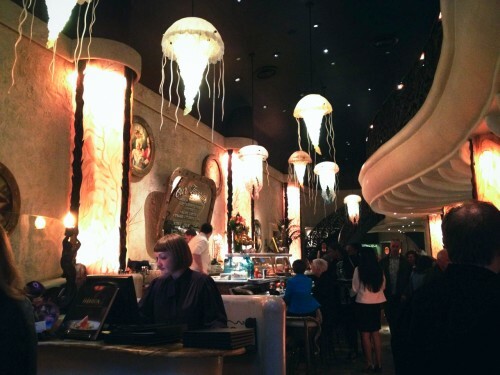 It’s usually served along with the main meal and is meant for sopping up thick, rich, spicy sauces. The bread doesn’t compete with the flavors in the dish, both are enhanced. 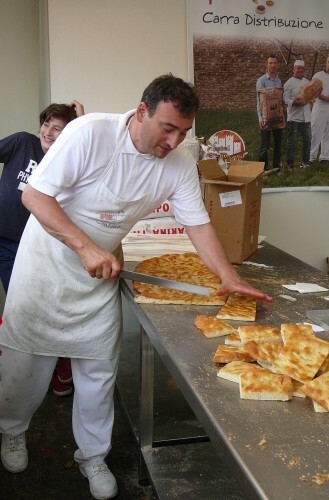 The Bread of Prato’s lack of salt helps keep it fresh for several days. 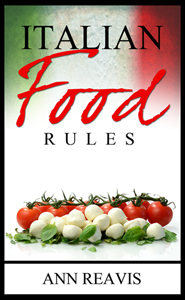 Since it has no salt to hold in water, it does not form mold – it just becomes hard as a rock when it is stale – thus making it the basis of many of the tasty dishes that are renowned in Tuscan cuisine. Ribollita – a twice-boiled thick vegetable soup (ribollita means ‘re-boiled’), made of black and white cabbage, white beans and other vegetables, made thick with crumbled stale Tuscan bread or poured over toasted Tuscan bread. Pappa al pomodoro – a bread-based thick tomato soup in which stale Tuscan bread is rehydrated and crumbled; then cooked with the tomatoes, basil and garlic to make a tasty pappa. Panzanella – a summer salad dish. Stale Tuscan bread is soaked in water, squeezed into a damp mass, crumbled into a big salad bowl and cucumber, raw onion, fresh diced tomato and fresh basil leaves are added. 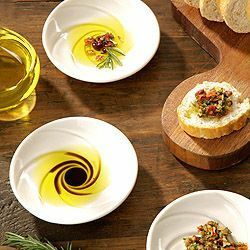 The ingredients are tossed thoroughly with some extra virgin olive oil, salt and pepper. Cacciucco – a fish chowder from Livorno made of fish, mollusks and crustaceans. The Livornese claim that the recipe should contain at least five types of fish to match the number of ‘c’s in the word cacciucco. Once cooked, the cacciucco is served on a bed of toasted Tuscan bread that has been rubbed with a clove of fresh garlic. 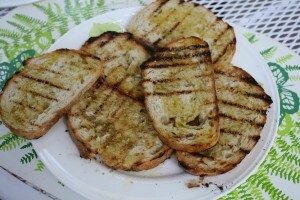 Fettunta – “garlic toast” made with slices of hot toasted Tuscan bread, rubbed with a clove of fresh garlic, splashed with fresh extra virgin olive oil and sprinkled with salt. Don’t try to cut into a completely stale loaf of Tuscan bread to make this; it’s too hard to cut. 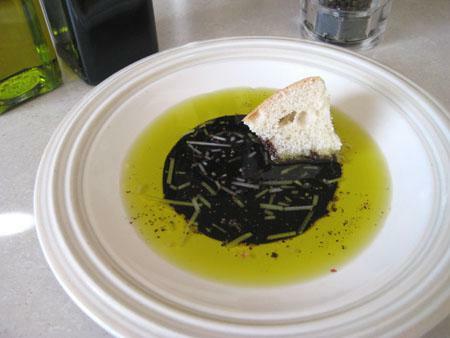 Use slightly stale bread – too dry to eat untoasted, but perfect for fettunta.